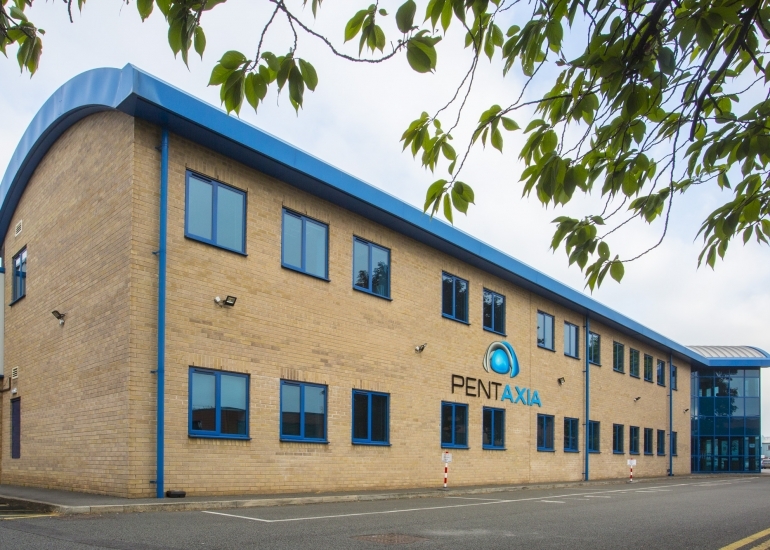 Pentaxia is ambitious, adventurous, creative and innovative. 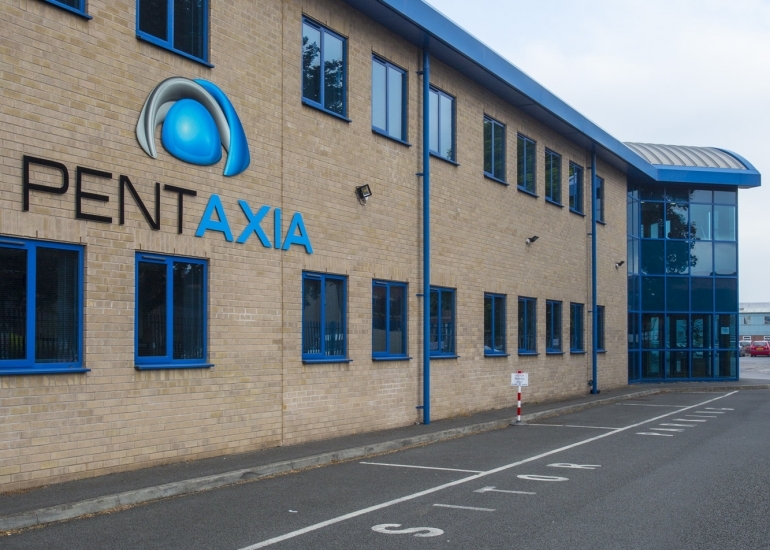 From composite tooling to component manufacturing and surface coating, Pentaxia can deliver a complete composite solution under one roof. 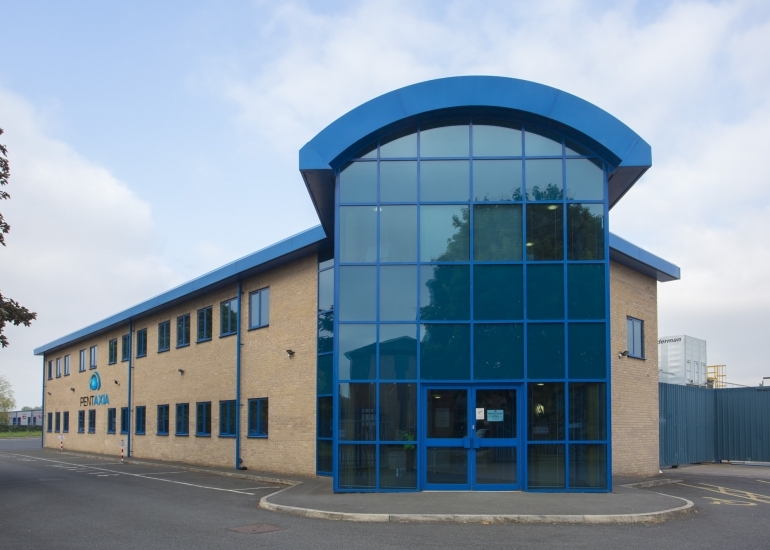 The company is based in a modern 70,000sq ft facility, centrally located in Derby, in the UK. 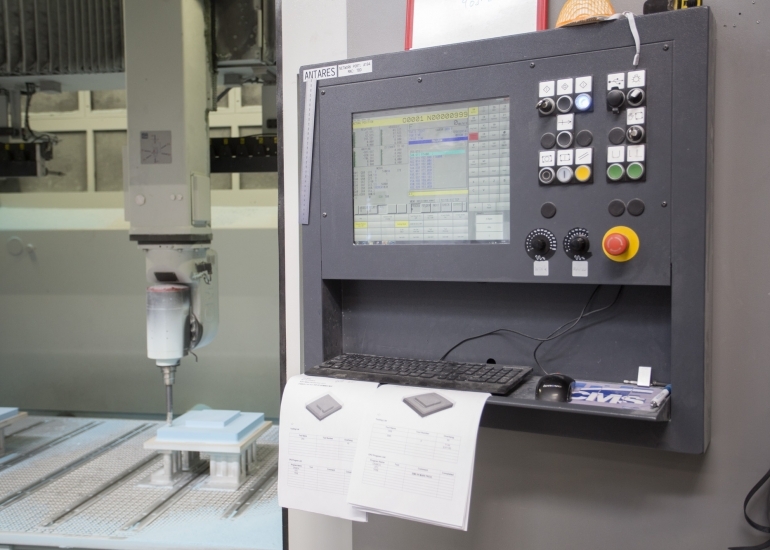 Working with many demanding high-profile clients across aerospace, defence, luxury automotive and bespoke sectors, we’ve developed a strong reputation in the market for predictable, on-time and quality manufacturing. We are also AS9100 Rev D and ISO9001 accredited. As a business we consider ourselves an “end to end” solution provider, undertaking all aspects of supply from tooling design, manufacturing and component production, right through to surface finishing. We continuously invest in our plant and equipment to ensure we maintain our competitive advantage. Adopting a plant and machinery duplication policy demonstrates our commitment to minimising any possible delays should we experience any service downtime. 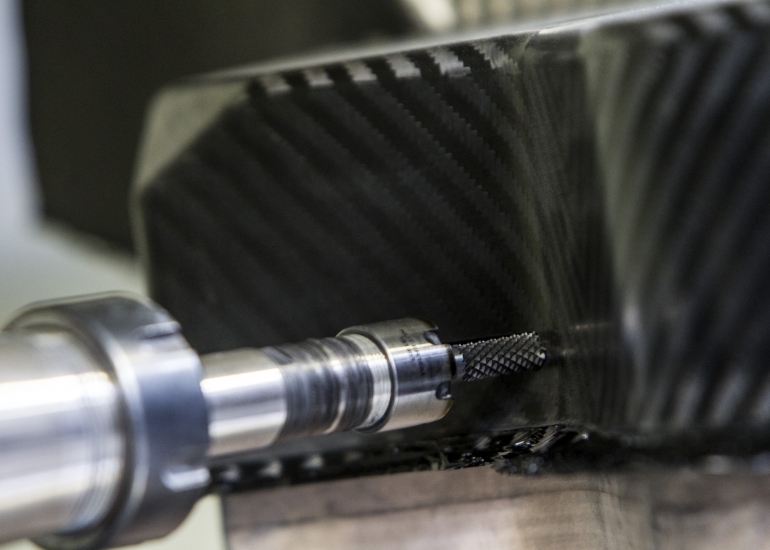 As a high growth advanced composites supplier, our founding DNA lies in 5-axis machining, demonstrated with a generous capacity of four 5-axis machines capable of a variety of functions including pattern making, composite machining, trimming etc. 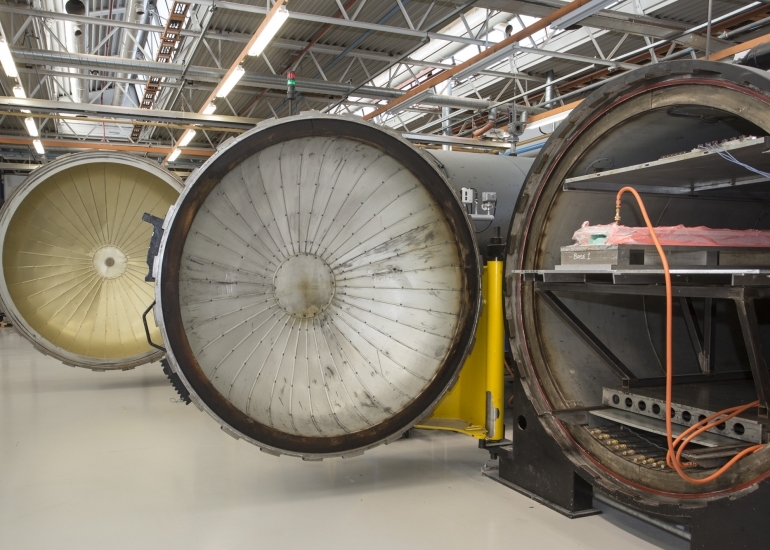 With four high specification autoclaves and three composite presses we have a wealth of capability and expertise to hand when it comes to composite manufacturing. Our composite department floorplan enables laminating rooms to be dedicated to specific customer requirements. Our largest laminating room was completed specifically for high volume automotive OEM composite supply but can be utilised exclusively for any volume supply projects. We also have a confidential laminating room for any sensitive composite projects. For an impressive finishing touch, our in-house paint facility can take composite components to be surface prepared and lacquered to demanding luxury OEM quality standards. But what are we most proud of within the business? 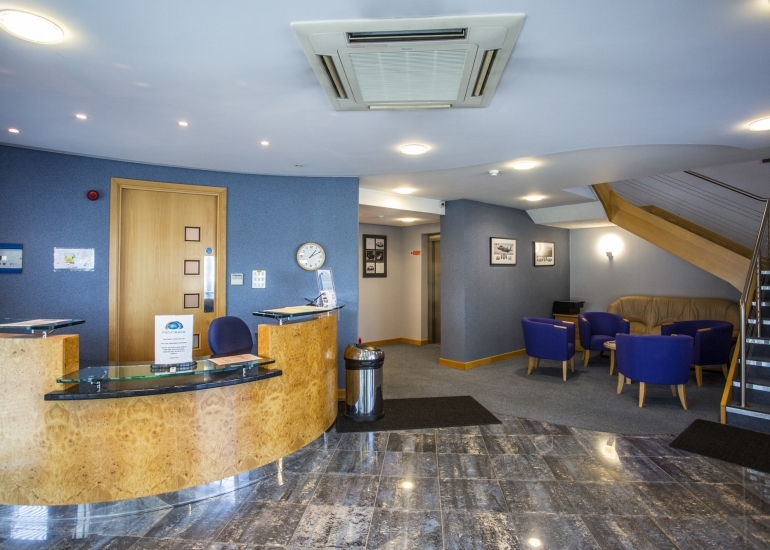 Our people – we have a fantastic, highly talented team. 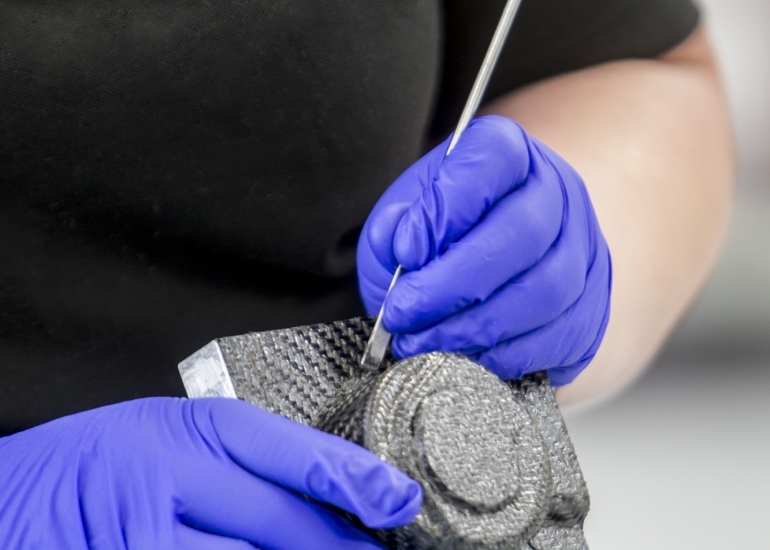 A vast proportion of our management and composite team have well over 10+ years’ experience in composites, with many having degree level qualifications right up to MSc qualification. 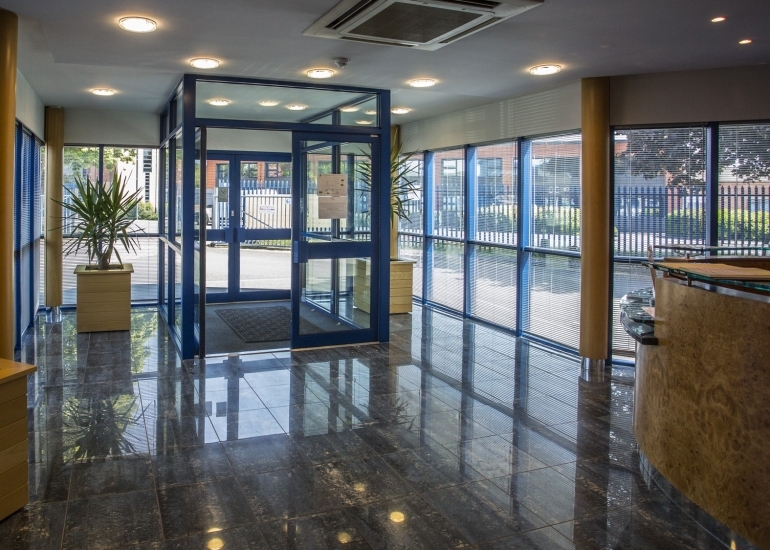 From laminators, trimmers and project engineers to senior management, each individual has undisputed experience in their respective fields.